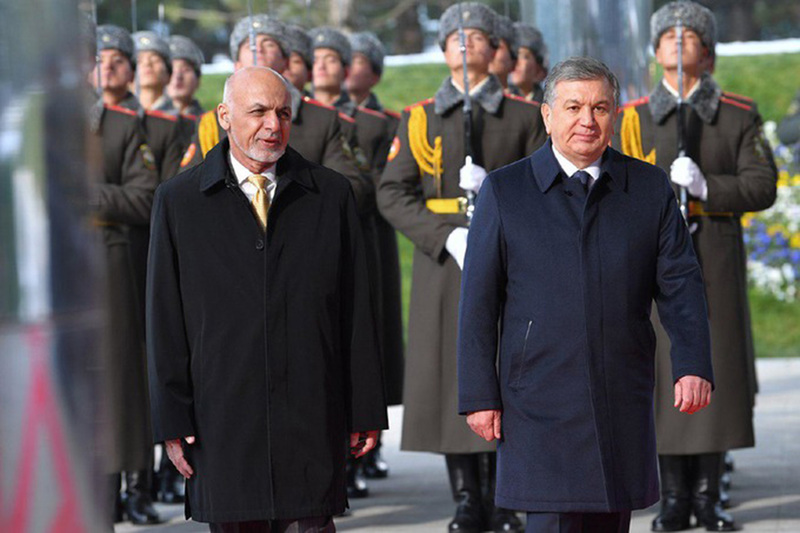 TASHKENT -- Uzbekistan is implementing a number of projects that aim to improve Afghanistan's social and economic situation and boost Uzbekistan's geopolitical role in Central Asia, observers say. Investments in infrastructure, transportation and education, coupled with diplomatic negotiations with key allies, are meant to promote a peaceful future for Afghanistan. Since his election in 2016, Uzbekistan's "President Shavkat Mirziyoyev has come to play an active role in foreign policy and is aiming for the leading role in the peace process in Afghanistan", Tashkent-based political analyst Valerii Khan told Caravanserai. "If Mirziyoyev manages to achieve substantial progress in Afghanistan, that will seriously raise his authority and that of his country in Central Asia and the world," he said. "But [that] goal is, in my view, impossible without US co-operation." One of the ways Uzbekistan is supporting peace in Afghanistan is through investments in transportation, infrastructure and trade. Uzbekistani Finance Minister Jamshid Kuchkarov January 20 visited Kabul to discuss the project to build a railway from Mazar-e-Sharif to Herat. An Uzbekistani-built railway already connects Uzbekistan to Mazar-e-Sharif. The project's evaluation has been completed and talks are under way with the Central Bank of Uzbekistan and the Asian Development Bank to finance it, Kuchkarov said, according to the Tashkent Times. 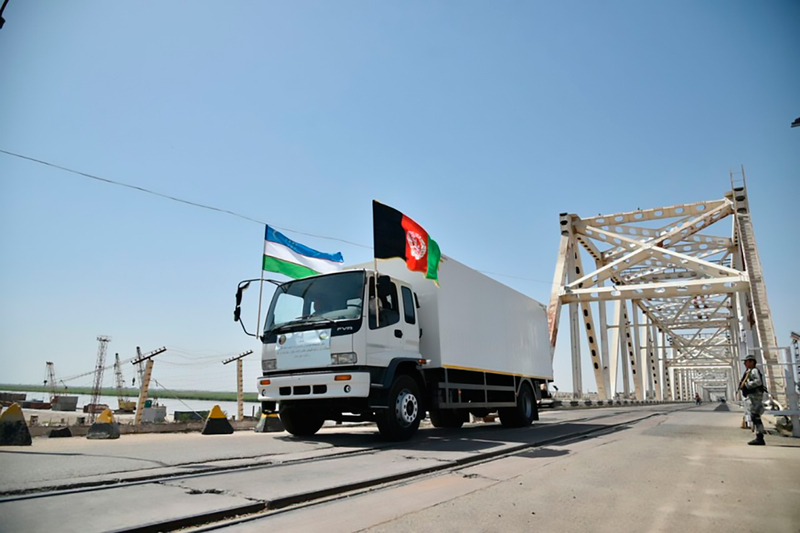 Another friendly step by Uzbekistan in regards to Afghanistan has been the reduction of freight transportation costs. The neighbouring countries reached an agreement to reduce fees for transit freight between Kabul and Tashkent by 50%, TOLO News reported January 23. Uzbekistan used to collect $2,500 (20 million UZS) per container of transit freight, according to Afghan Finance Minister Eklil Hakimi. Now the rate has dropped to $1,250 (10 million UZS) per container. 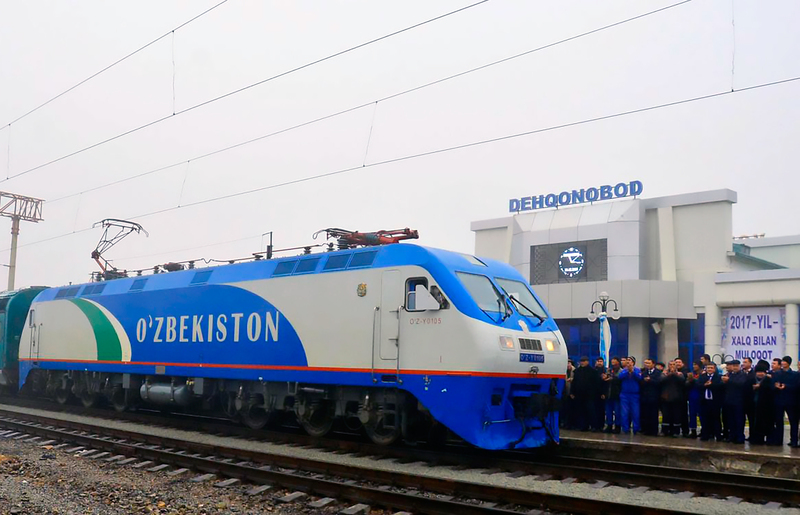 "This is a very logical step meant to make the future railway line popular," Alisher Khamrakulov, manager of Sogdiana Trans, a subsidiary of Uzbekistan's national railway, told Caravanserai. "Reducing the cost of transit freight" could entice Afghan shippers to route their cargo north through Uzbekistan rather than south through Iran and Pakistan, he said. Once a seamless railway extends all the way from Herat into Uzbekistan, that northern route for cargo would be even more attractive to those shippers, he added. Uzbekistan has also opened an education centre for Afghan students in Termez, near the Hairatan border crossing. The first 110 students have enrolled in the Uzbek Language and Literature Department for a two-year programme. "The construction of an educational establishment in Termez will meet the need for Uzbek language specialists in our schools and kindergartens," said Mohammad Shokir Kargar, Afghan President Ashraf Ghani's special envoy to Commonwealth of Independent States (CIS) countries. The Afghan population includes about 7 million ethnic Uzbeks. In the future, the school will train "credentialed specialists in rail transport, power generation and other fields", Kargar said at the opening ceremony January 21, the Uzbekistan National News Agency (UzA) reported. The centre plans eventually to increase the number of students by 300 -- to a total of 410 -- soon. US diplomats and government officials have reiterated their support for Uzbekistan's efforts to establish and develop peace in Afghanistan. "We have a common interest in establishing stability and ensuring sustainable development of the Central Asian region, which in turn will affect the situation in Afghanistan and [Afghan] development," Principal Deputy Assistant Secretary of State for South and Central Asian Affairs Alice Wells said. She made her remarks February 2 in an interview with the Jahon Information Agency after meeting with high-ranking Uzbekistani officials in Tashkent. Further emphasising Uzbekistan's desire to play a positive role in the Afghan peace process, Uzbekistani Foreign Minister Abdulaziz Kamilov January 19 proposed holding an international ministerial conference in Tashkent in late March titled "Afghanistan -- path to a peaceful future". "We are convinced that Afghanistan must remain at the centre of the global agenda, while our common determination to promote peace should not weaken," he said during debates on Central Asia and Afghanistan at the UN Security Council in New York that day. Earlier, on January 16, Kamilov met with US National Security Adviser H. R. McMaster in Washington. The two sides, among other issues, discussed the situation in Afghanistan, according to the Foreign Ministry.